Marijuana is now legal in a growing number of states. As of this writing, 26 states and the District of Colombia now have some type of legalized marijuana. Six states allow marijuana for recreational use and two others have passed laws to allow it, though they haven’t yet gone into effect. This patchwork of marijuana legalization – without clear, decisive direction from the federal government – has led to some confusion in some regions. Case-in-point: A man in Arizona was arrested while sitting in his vehicle, listening to music and smoking a little marijuana. Now, as our L.A. marijuana lawyers will tell you, there is more than one flaw in his thinking. The first is that even in states like California where use and possession of marijuana are legal for recreation, public use is not legal. Beyond that, it’s illegal to operate a motor vehicle under the influence or impaired. Even if the vehicle was not on, authorities could make the argument that he was “in control” of the vehicle and, depending on state DUI or OUI statutes, that could mean even just sitting in the car with the keys in the ignition. But this defendant’s biggest problem was that marijuana is not even legal in Arizona, at least not for recreational use. The Arizona Supreme Court ruled the odor of marijuana can be used as probable cause to search a car or premises, even in spite of the state’s medical marijuana statute. A person who takes medical marijuana can legally be fired if he or she is in possession of or under the influence of marijuana at work, but it’s illegal for an employer to fire a worker because of his/ her cardholder status or testing positive for the presence of marijuana, unless federal funding is in jeopardy (which is even greater protections than California workers are afforded). The Arizona Court of Appeals ruled the state’s medical marijuana law does not extend prosecutorial immunity to patients who test positive for marijuana or related compound. Patients can use or possess marijuana on a college campus, due to the campus ban statute passed in 2012. There are specific conditions that qualify a person for medical marijuana, including cancer, HIV/ AIDS and severe and chronic pain, nausea or epilepsy. Patients with a valid medical marijuana card can use marijuana while on probation. In the case of the man who was arrested, the incident occurred in Mohave County. 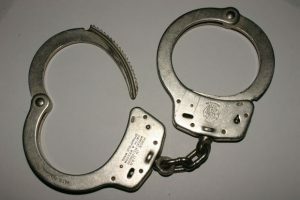 Police were called to the scene on reports of a man who was intoxicated and playing loud music at 1:30 a.m. Deputies reportedly approached and asked him to turn down the music, which he did. However, officers then detected the smell of burnt marijuana and there was a small bag in his shirt pocket. Officers asked to see the bag, which he showed to them. He “freely admitted” it was marijuana and that he had no medical license to possess it. However, when police initiated the marijuana arrest, defendant reportedly resisted, apparently believing he was being detained unjustly. He demanded to know why he was being arrested, and he was advised it was because he was in possession of marijuana absent a prescription or a medical marijuana card. Voters in Arizona did consider in November a measure that would legalize marijuana for recreation, but it was ultimately defeated by a margin of 52 percent to 48 percent.